they had on me as a kid. 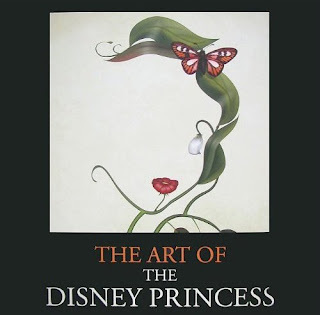 Disney Consumer Products had a cool idea going when they decided to ask a bunch of internal artists to put their artistic spin on the Princesses for a book that was just released, The Art of Disney Princess. You can almost guess immediately what I wanted to do with my pieces. Yup, MOVIE POSTERS!!! 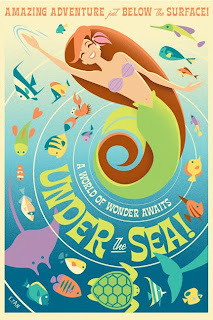 Little Mermaid came out when I was in high school and reinvigorated the entire Animation studio which influenced me to want to get into field that as a career. Although I found I didn't have the chops for animation, it led me down the path to my current position with Disney and it'll always be one of those films that reminds me of how I fortunate I am to end up where I did. 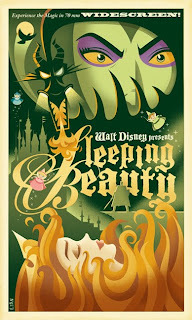 Sleeping Beauty was just an amazing piece of artistic vision. The look of the film made an impact on me as a kid and I remember trying to draw the Maleficent dragon over and over with less than stellar results. It was an honor to get to 'remix' two of these classic films and I seriously hope I get to do more. Check out the book if you happen to come across it. It's definitely worth taking a look at all the amazing Princess translations my fellow coworkers created.